Rivers across the globe contain nearly two and half thousand tonnes of over-the-counter and prescription drugs waste, according to researchers. More than 10,000 kilometres of the world’s rivers have well-above average concentrations of diclofenac – a common anti-inflammation drug used as a proxy for the researcher’s measurements. The European Union has the drug on a watch list limit of 100 nanograms a litre. Both the EU and the US Environmental Protection Agency identify the drug as an environmental threat. Along with diclofenac emissions, the range of drugs found in rivers include analgesics, antibiotics, anti-platelet agents, hormones, psychiatric drugs and antihistamines. All were found to pose a threat to ecosystems, including wildlife. According to another report by UN Environment published in December, around 70 percent of antibiotics consumed by humans find their way into natural environments. Francesco Bregoli, a leading researcher at the Delft institute for water education in the Netherlands, called for a “substantial reduction in consumption” as the findings were revealed this week. The volume of toxic pharmaceuticals entering waterways could increase by two-thirds before 2050, scientists have warned. A proportion of the overall amount was found in human waste, with a smaller fraction of 7 percent found to be filtered out by treatment plants. Ecosystems absorb some 20 percent, with the majority absorbed by oceans. 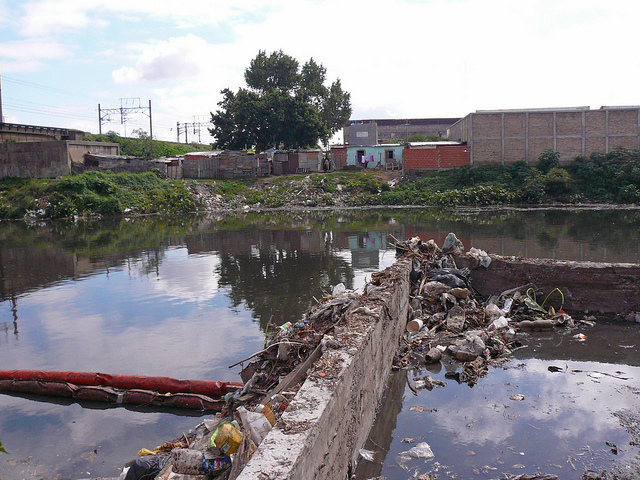 Region in which pollution levels are most likely to rise included Latin America, Africa and Asia, due to a lack of technological advancement in wastewater treatment. This was found to be a serious problem particularly in sewage systems of urban areas of these countries. Maryna Strokal, a scientist at Wageningen University and Research in the Netherlands, said that by 2010 “sewage was a source of pollution in almost all rivers worldwide”.